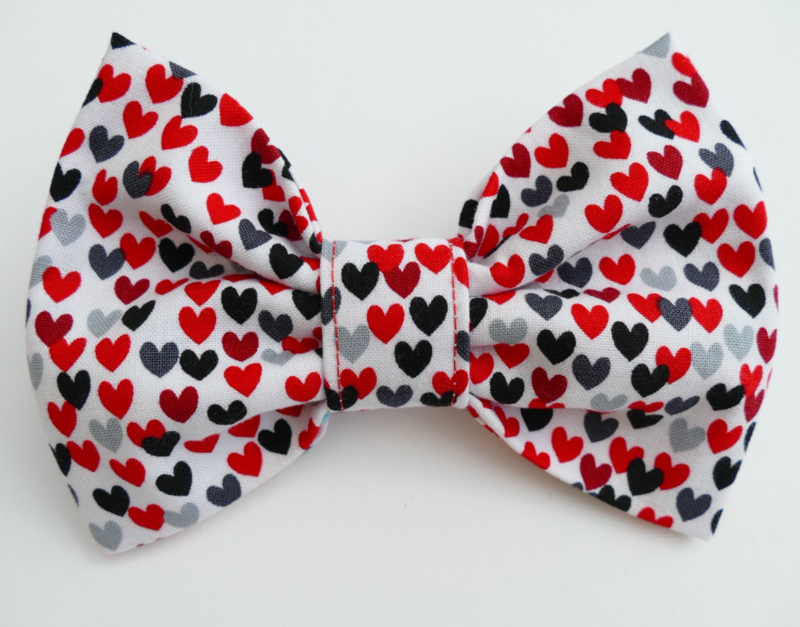 This Tiny Hearts Valentine bow tie is a perfect gift for any doggy Valentine! 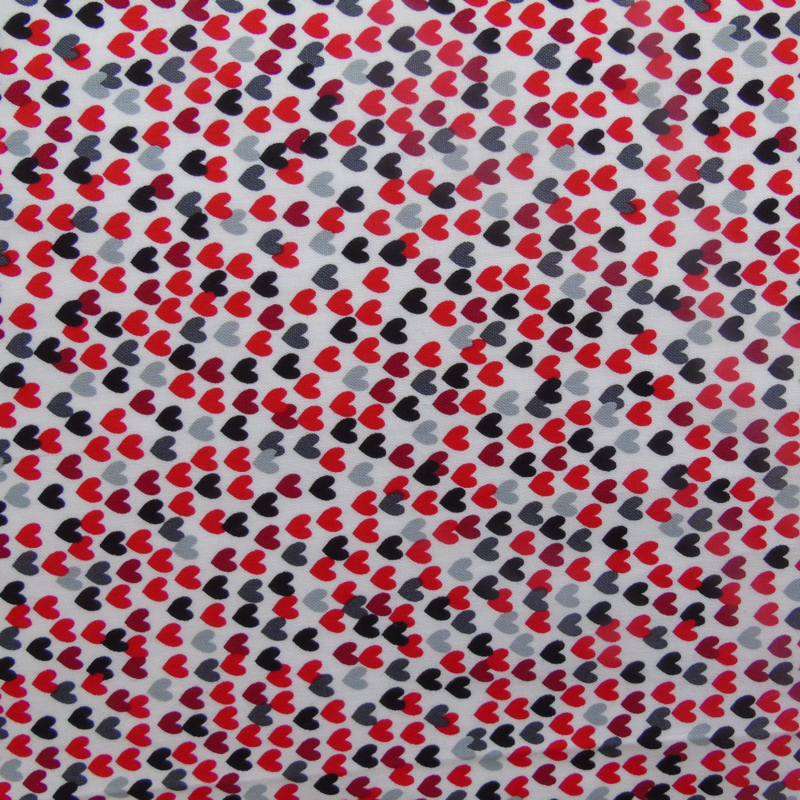 This is a super-cute Tiny Hearts Valentine dog Bow Tie in shades of red, grey and black on a crisp white 100% cotton background. It's a lovely smart and classy design, and will certainly make your dog stand out in the crowd! It's perfect for the holidays, for any occasion, for any fun loving dog about town or country!! It's a perfect dog Valentine gift! Show your dog how much you love them with this lovely heart print Bow Tie! Super-smart and comfortable to wear. Great, secure fastenings. Choose your Dudiedog Bow Tie to either fasten onto your dog's collar with hook and loop strips, or to be attached to a matching neckband that fastens with a hook and loop strip. Custom made to order for a perfect fit.